As you know, I haven’t washed my hair for YONKS. Three and a half years, to be precise. In those years, particularly during the months that I was researching my Happy Hair book, I learnt an awful lot about hair. And there is a lot that I learnt that applies not *just* for those who have given up shampoo completely, but for everyone who would like healthy hair. Since giving up shampoo my hair has become a lot more shiny and has seen a lot more natural growth. It is like it is unburdened by all the toxins I was sticking in it and just wildly shimmying around up there. However, there is one thing that has impacted this shiny hair and growth the most, folks. The internet is full of tips for healthy hair – but nearly all of them involve more chemical heavy stuff to stick on your hair. The last thing you need on your hair is MORE chemicals. Your scalp produces this awesome stuff called sebum. We often refer to it as grease, which is a dirty word, so I am on a mission to reclaim SEBUM as the natural, glorious, protective oil that it is! It is there for our own good, to coat our hair shaft and make it smooth shiny and to protect it from the elements. It is a boar bristle brush. Everyone who dreams of shiny, healthy hair should have one of these in their cupboard! A few nights of brushing properly and your hair just goes BLING DIGGIDY BLING. A boar bristle brush conditions and nourishes, improves the texture and can cut down the need for any other styling products. I have always longed for fast growing hair. I can remember trying to make my hair touch my bum as a kid, I’d lean back, practically in half and be like LOOK MY HAIR GOES DOWN TO MY BUM! But I also act on my fancies quite regularly too – so even as a teenager I’d be looking in the mirror and think, ooh, this hair needs a chop. And then I’d chop it all off. And then I’d be back to square one. 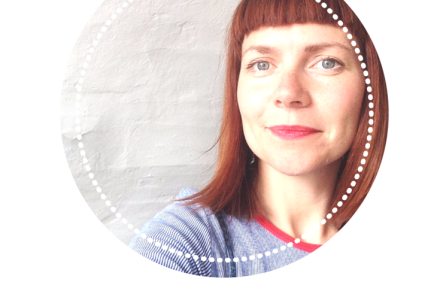 How to increase hair growth became a bit of an obsession of mine, and I learnt that eating healthier (lots and lots of good oils and oily fish) can really help. As can some of those folk tips for hair growth such a rosemary tea and lavender tea. There is a wide spectrum for the old natural boar bristle brush. You have a Mason Pearson on one end which can run into hundreds of dollars worth – and lots of people think they are worth every penny. Then there is a Denman, which you can pick up on the high street for a few quid. In between there are many others and I reckon a mid range one is the way to go. My favourite brush is a trusty Kent – they’ve been making brushes since 1777 – I have this KENT spiral bristle brush but can also highly recommend the paddle brush – KENT Airheadz paddle brush (Affiliate links but recommended in total integrity.) See my full list of best boar bristle brush in 2017. I don’t know many women that didn’t wish they weren’t so completely locked into their once a day or once-every-two-days shampoo cycle. It does feel a bit of a trap, shampooing your hair only for it to create a load of sebum again. Did you know that is your hair freaking out? It is your scalp going CRIKEY JIM SHE’S STRIPPED OFF OUR SEBUM QUICK PRODUCE SOME MORE GO GO GO GO GO!!!! Using a boar bristle brush in between washes – every night, very thoroughly – can help you stretch out your days. It will train your scalp not to produce so much sebum, you are working with it, helping move the sebum from your scalp down your hair shaft. In the olden days the average woman washed hair a few times a year and it was the nightly brushing that kept it clean and conditioned inbetween times. 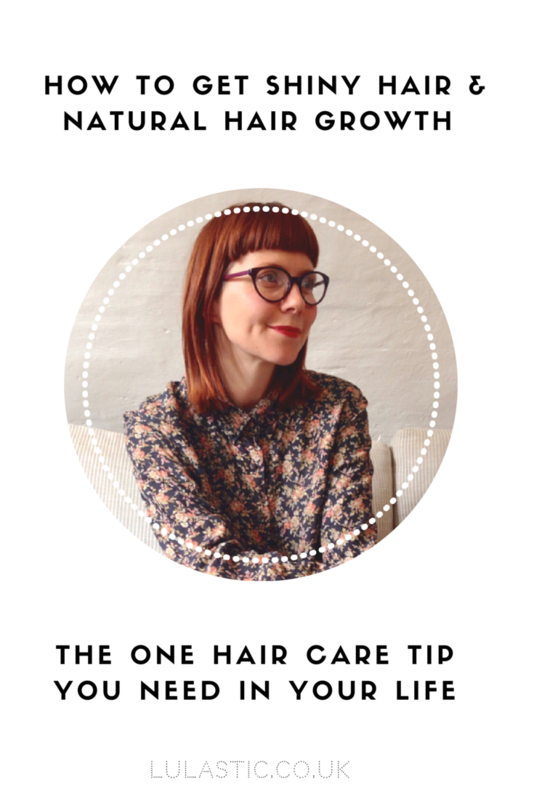 Lots of people give No Shampoo a crack – but they just can’t break through to the healthy hair nirvana they dream of. 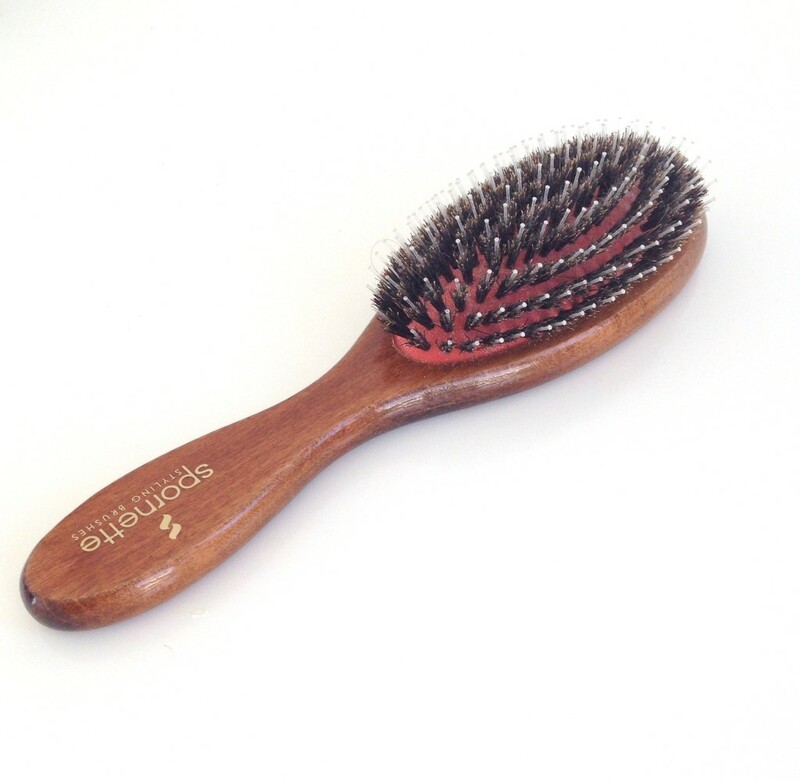 I reckon a good boar bristle brush can make or break someone’s no poo journey. Don’t try and give up shampoo without one. Promise? Hard city water, silicones and preservatives in shampoo all make your hair dull and stunted. By using a boar bristle brush regularly you can expose your hair way less to this stuff and let your sebum do the work. A brush like this Spornette is called a porcupine- it has longer bristles that really get down and grizzly. In fact, the first time you use it you sort of unhearth a load of, um, extras. Dandruff, flakes, gunk. Using it regularly combats dandruff and itchy scalp by keep your brilliant acid mantel (the protective layer that covers your scalp and body) clear and healthy. I have curly hair- brushing? Really? Curly haired friends are divided on this one. It must depend on the type of curl or porosity of the hair. There are loads of curly haired peeps that have never brushed their hair, and then when they start on this journey, they discover they can use a boar bristle brush to great effect – if done in the evening so their hair has time to calm down again. And then there are curly haired people who don’t even need it – just the odd scritch and preen every now and then. With all the people I’ve worked with on this, I’d say curly haired people find giving up shampoo sooooo much easier- as long as it is kept untangled with argan/jojoba/coconut oil. Hold the hair from the scalp to the ends as long as you can. Here is a video with me talking about the powers of the boar bristle brush, demo-ing brushing techniques and cleaning methods. I realise I sound absurdly like a salesperson. 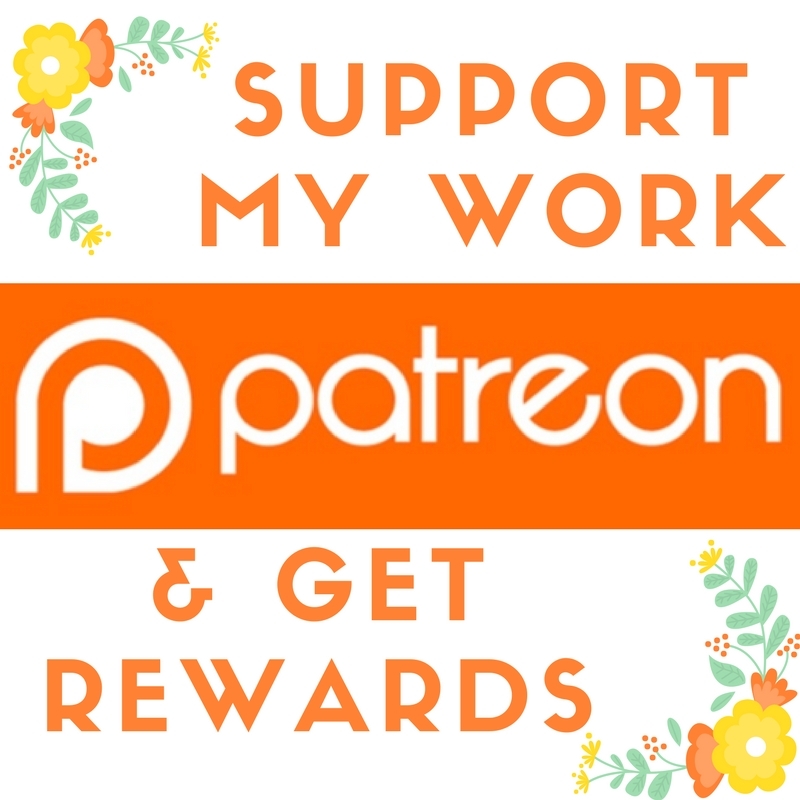 (You can see there are no affiliate links of anything here!) I am simply passionate about people finding natural ways to care for their hair and body, and I am a bit of an evangelist for cutting down all those carcinogenic chemicals that are jammed in our shampoo and conditioners. 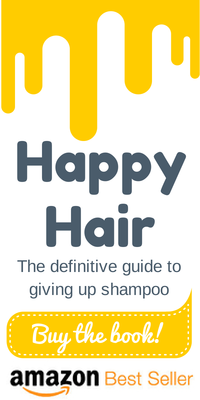 PS If you want more loads more information about getting super healthy hair by giving up shampoo, the science of shampoo and a ton of tips and recipes for scalp and hair please do check out my book and join this global movement. PPS And if you are really quite daunted by the idea but want to give it a crack let me properly hold your hand through the process. 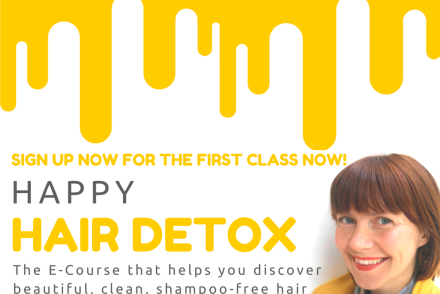 My E-Course, Happy Hair Detox, has helped 20 students get started on this journey so far and you are very much invited to join them! 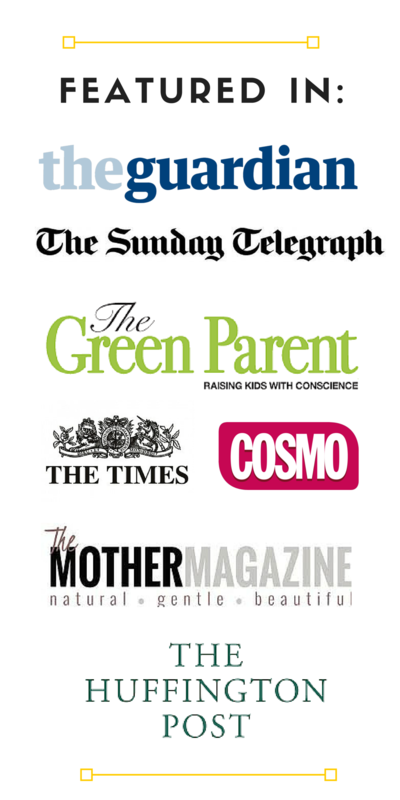 Click here for more info and a discounted price- use the code LulasticReader. So true! I’m just over three weeks into my no-poo experiment (definitely feels like an experiment at times!) and the boar bristle brush has been a revelation! Definitely still getting the hang of things but the brush makes it so much more bearable. Ah that is so great Heather! Such an old technique but we need to get it back! Can just agree with the boar bristle brush. Although. I need to combine it with a wooden comb as my hair gets tangled so easily. Hair monster my husband calls it. I am on my 3 year also. But have not told anyone about it. Have not tried it, but will do. Thanks for the tip! I don’t see this working for curly haired people (I haven’t brushed my hair in waaaaay longer than you’ve been no-poo :D) but if I didn’t mind brushing out my curls or had straight hair I would give it a go. On the flip side though it seems a lot of curly haired people can go longer between ‘washes’. I also don’t use shampoo at all but still use “natural” commercial conditioner. Conditioner is my cleanser and keeps my hair from turning into straw. I find it hard to replace. Yep – curly haired peeps are divided on this one. It must depend on the type of curl or porosity of the hair. With all the people I’ve worked with on this, I’d say curly haired people find this whole thing sooooo much easier! Have you tried argan oil or jojoba/ coconut? Keep hair topped up with those can be a really nourishing, conditioning natural alternative. Yes all about the coconut oil!! So glad you found something lovely- worth the greaseballs I reckon! I am feeling the BBB love. I’m lucky enough to have a (rather old – 25 years plus) Mason Pearson which has been rather neglected until recently. Since I went no (or more accurately very low) poo at the beginning of the month, I am so grateful I hung on to it. It makes all the difference. BTW, I had my first no poo hair cut this morning. It cost £10 less than normal. Kerr and indeed Ching. The benefits and savings know no bounds I tell you!!! Wow! Your hair does look lovely. I have bought your book and I am about to start reading it, though might wait until after our family wedding before I get going I am older than you though Lucy and have the dreaded greys. Would still need to shampoo horrible colour stuff off and then that no doubt would muck things all up again. Perhaps I should just accept going grey gracefully or perhaps you have some wonderful tips for covering them all up naturally too?! Yes curly haired peeps are so lucky- they tend to find this a total breeze. I quote one reader in my book who wishes she could tell every young curly haired person about No Poo because it is sooooo good to curls! Can I ask if you replace things like shower gel/bodywashes with anything else? Or do you still use these? Yeah, you do need to concentrate on keeping it moisturised. Regular argan oil or jojoba oil is a winner. Cass@frugalfamily recently posted…Children’s toys through the years…. I’ve been searching online for one of these brushes! I know you’re not here to advertise, but where can I find one? I’ve been no poo for over a year now, easy transition since I barely washed my hair ever (curly). But would like to try this brush, think my scalp would appreciate it. Yay thank you! Ever since I bought your book I’ve been searching for a boar bristle brush. Will def get one!! My daughter’s curly hair dreds if I don’t use a huge amount of conditioner to come out the tangles. How does one use those natural oils to detangle? And any advise for those of us who swim in chlorinated pools daily? Thanks!! 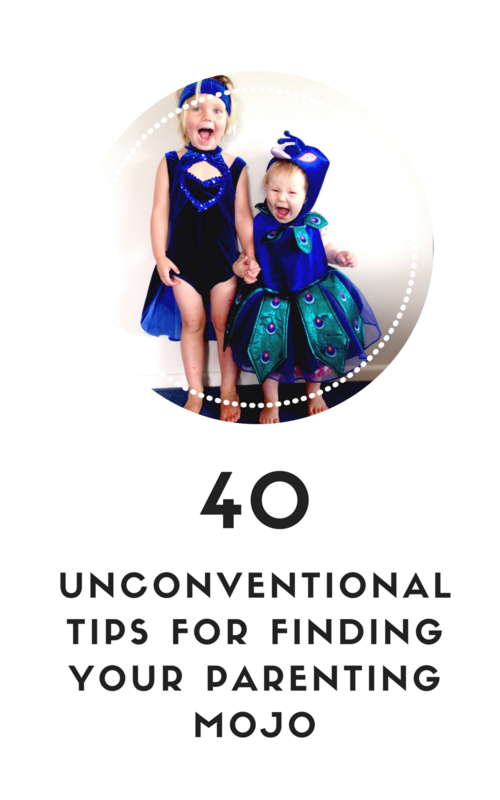 Hi Rachel – I keep my daughter’s hair untangles using argan oil – I smooth a bit in every other day and it prevents knots. In the book I recommend wearing a swimming camp 🙂 OR rinsing hair well on shower water before swimming so it doesn’t fill up with chlorinated water as much. Then the natural alternatives work well. And then go hard on keeping it nourished with regular oiling. Mostly though id consider a swimming cap really seriously as chlorine is so damaging. There’s a shop in Oxford (they also sell online) called Objects of Use that has high quality boar bristle brushes for about £12! Really good. 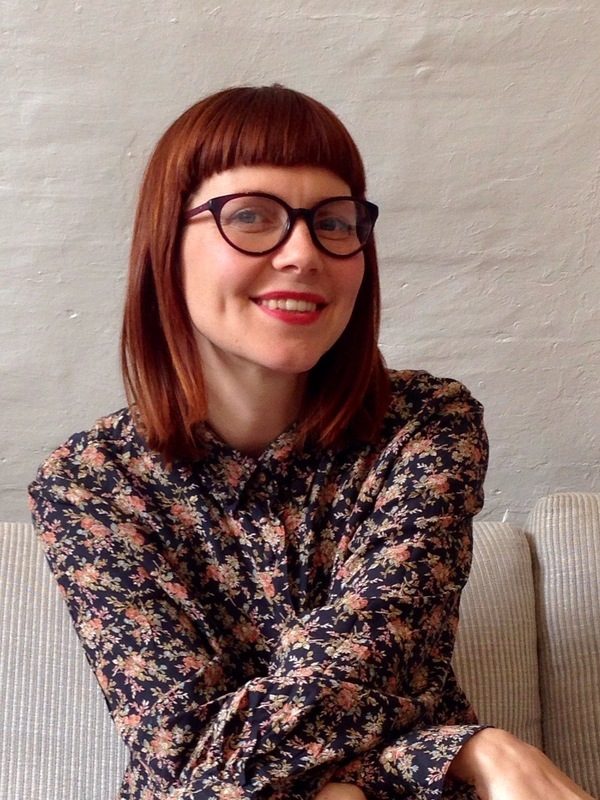 Hi Lucy, great blog. Have been following you all the way from South London. I am a very short way into the journey of no-poo. Now only wash my hair once a week instead of every 5 days. Now with this brushing trick, may be able to make that longer. 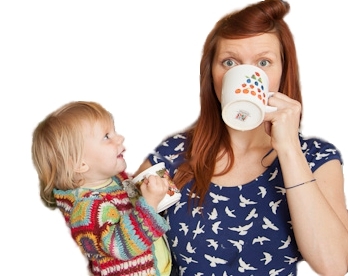 Can you suggest any good hair cuts for the busy mum who doesn’t want to be washing and blow drying her hair every day, but also doesn’t necessarily want to be in pony tails all the time? Also, what does the bicarb do and any good tips on getting the fluff out? Have just spent half an hour trying to do it with a darning needle. I bought my daughter a Mason and Pearson brush when she was little (probably about 6 or 7) and she still has it (age 22)! and uses it. So worth every penny. Her hair (and yours) is lovely, it might inspire me to invest in one myself. Ok. Done! Thanks! I have read this advice a few times, but you have such a convincing way about you! I need some help. I bought your book in May and have been no poo since mid June. Started off great, everything I tried from your book got my hair clean and I could stretch my days easily to about 5 between washes. But now things have gone badly wrong. Nothing I try seems to get my hair clean anymore. There is always this really horible sticky residue, straight after washing that makes my hair feel sticky and I can feel it on my palms when I brush or style my hair. It also starts looking greasy the day after I washed it. Nothing can shift this residue, not even the egg and lemon waxy hair buster! I have tried, bicarb, shikakai, rhassoul, egg and the egg and lemon combo. I am getting pretty desperate. I brush with a Mason Pearson every day and I keep all my combs and brushes really clean, btw. I don’t ant to go back to shampoo having come this far but I hate how my hair feels. Oh yes, you have come so far! it sounds like a bit of a delayed transition perhaps. Can I ask though, have you had any changes to your water supply? Been on holiday or moved? Being here in the UK has made my hair transition all over again! Thank you for replying so quickly. I have not moved, but we have recently been on holiday. We went to a caravan park in southern Scotland. So I do not know what the water quality was like threre. We are back home now. Here in North East England the water quality is moderately soft, which is somewhere between soft and hard. 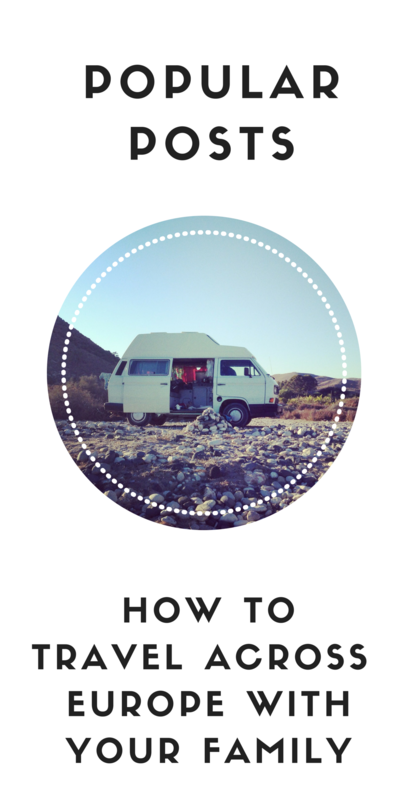 Do you think there is a relationship, timewise, between your holiday and your hair? I think water is the single biggest factor that impacts our hair, and if your hair is used to soft water but the water in Southern Scotland was different – hard water is a big contributing factor to the heaviness you describe, either through limescale or treated water- but also, even beautiful, natural environments can cause havoc on hair – say water that comes from a spring might be less alkaline, or close to the seaside, more natural deposits. ANYWAY, what I guess I am saying is that you shouldn’t panic! I think you just need to get through this and it will adjust when you are back to your own water…. you might want to do the lemon yolk and lemon juice recipe as a great wax buster, just to help your hair get back on track!